Die cast heavy-duty body with swivel nozzle with no exposed parts for longer life. 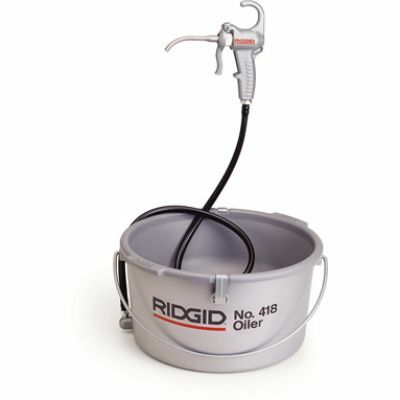 The new 418 oiler features a patent pending fastenerless twist and lock drip pan that easily locks into place. The new material withstands abrasion, is lighter than metal and does not rust. New material is so strong that under normal use, no dents will form on impact or shape changes will occur over time. As a result, the drip pan will fit squarely on the reservoir time after time.